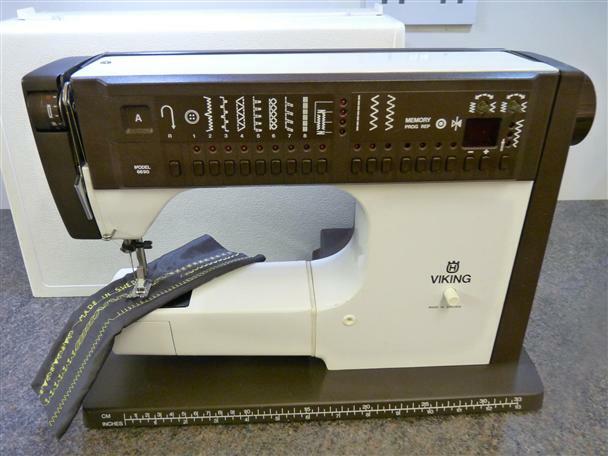 Here for sale Viking Husqvarna 6690 sewing machine this sewing machine has 45 built in stitch patterns and these can be altered by width or length or combined with other patterns to create new ones. It has one alphabet cartage and one automatic buttonhole. It is in perfect working order and was serviced by me a qualified engineer. The machine was built in Sweden so it’s built to be efficient and to last! this machine hasn't been used in a few years and is in great shape, machine features preset embroidery stitches, lettering selection and can be programmed to do a huge variety of fancy patterns. Original cover in good order. Instruction book, foot control and power cord, sewing table included. All clean and ready to go.